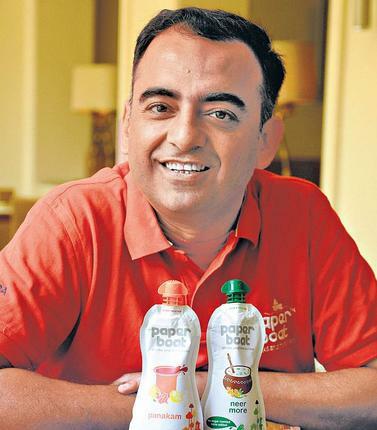 When Neeraj Kakkar and his team at Paper Boat decided to launch Kanji, a tangy probiotic drink popular in Punjab and Uttar Pradesh, they were surprised to find that the original recipe had been modified due to unavailability of the key ingredient: purple carrot. With orange and red carrots having taken the Indian market by storm, farmers had virtually stopped cultivating the variety needed to make Kanji. And the substitute was a combination of orange carrots and beetroot. After an intensive search across geographies, they learnt that purple carrots were being cultivated in southern Turkey. Hector Beverages, the parent company of Paper Boat, imported its seeds in 2014 and began cultivating in Udhagamandalam (formerly Ooty). Now, the first crop is ready, and Hector Beverages is looking to add Kanji to its portfolio by this winter. “We want to be the reference taste for every beverage we launch. We also believe that if there is something better-tasting than our product, we will stop selling it,” says Kakkar, explaining why he didn’t settle for the carrot-beetroot combination for his Kanji. And that is one of the pillars of the company’s disruptive business idea, which has helped Paper Boat become the preferred drink for many despite entering a market crowded by the Pepsis and the Cokes, as late as in 2013. Paperboat created a new category of branded ethnic-flavoured drinks when it burst on the scene, and its packaging too set it apart from the crowd. Devangshu Dutta, chief executive at retail consultancy Third Eyesight, says Paper Boat’s innovative products and packaging have been a force of ‘creative disruption’, and the company has been able to back that up with distribution. “Paper Boat’s traditional Indian flavours and its differentiated packaging give it a unique look at retail stores. The company has clearly gone after market share and taken a penetrative approach. Whichever geography they choose, they are going after it very aggressively. It is clear that they want to be a deeply penetrated mainstream product,” he says. But making a mark wasn’t easy. Retailers were wary of stocking the products, fearing they wouldn’t be sold. And that’s when Paper Boat’s deployed its second disruptive strategy: a no-questions-asked return policy. “We gave our retailers the freshest of products and refunded them in full in case of returns,” says Kakkar. Most large companies, in contrast, only refund a percentage of the money. But Paper Boat’s ‘insurance’ cover on returns ensured that its Aam Panna, Gol Gappa and Aam Ras beverages adorned every retailer’s shelf. The third pillar of Paper Boat’s success has been customer-centricity: it sources the best quality raw materials from across the country. “We have invested in quality function. Our aim is to be better than MNCs because being equal to them has no meaning,” says Kakkar. The stories that the brand narrated were reminiscent of the way IndiGo airlines lovingly created stories for its Airwiches (sandwiches on air). Tellingly, Paper Boat beverages are served on board IndiGo, bringing two great storytellers together at 30,000 feet. Paper Boat relies heavily on digital marketing, and its digital campaigns are as funky as the brand. On Instagram, it tells its brand story using creative doodles, videos and photographs, cleverly using two puppies named Hector and Beverages to add fun to the storytelling. “We are digital first and mass media second. We use the cheapest way to reach out to people,” says Kakkar. “Niche marketing is good as an early entry strategy, but if a brand wants to appeal to a slightly larger mass, which has the money, it cannot remain niche,” he says. Today, ethnic flavour drinks have a nearly 50 per cent share of the Rs2,000-crore juices category. Already, other brands – Dabur Hajmola, Cocofly – are emerging, with ethnic flavours similar to Paper Boat’s. Copy-cats typically eat into the market share of the incumbent. Going forward, Paper Boat may have to reach out to a larger audience in a tone familiar to them. Dabur’s Hajmola Yoodley is surprisingly capturing public imagination. It’s seen more on modern trade shelves (which is not surprising, given Dabur’s FMCG distribution strength) and is piggybacking on the familiar Hajmola brand, which helps with customer connect. Dutta believes that Paper Boat’s geographic footprint can grow over time, as has been the case with some other players. “They have an adequate presence in certain geographies and they are not as strong in some others just like many other FMCG brands. I think it is a matter of time before they expand,” he adds. Paper Boat, meanwhile, is also keeping a close tab on costs. It replaced tetra packs with a flexi pouch that uses just 8gm of plastic as against 25gm for a pet bottle, making it cheaper by at least 50 per cent. “Even transportation costs go down with this packaging,” Kakkar points out. And profitability, he says, is not a concern. “Ours is not a cash-burn business. We continue to invest in growth and advertising (at the cost of profitability),” Kakkar adds. For now, the company has settled down to a strategy of having some year-long products like Chilli Guava or Aam Panna and other temporary launches once a year like Thandai during Holi, Panakam during Ram Navmi and Kanji for two months in winter. So far, Paper Boat seems to have got its mix right. Its ability to continue to juice out success from its differentiated strategies will, however, be tested over the next few years.